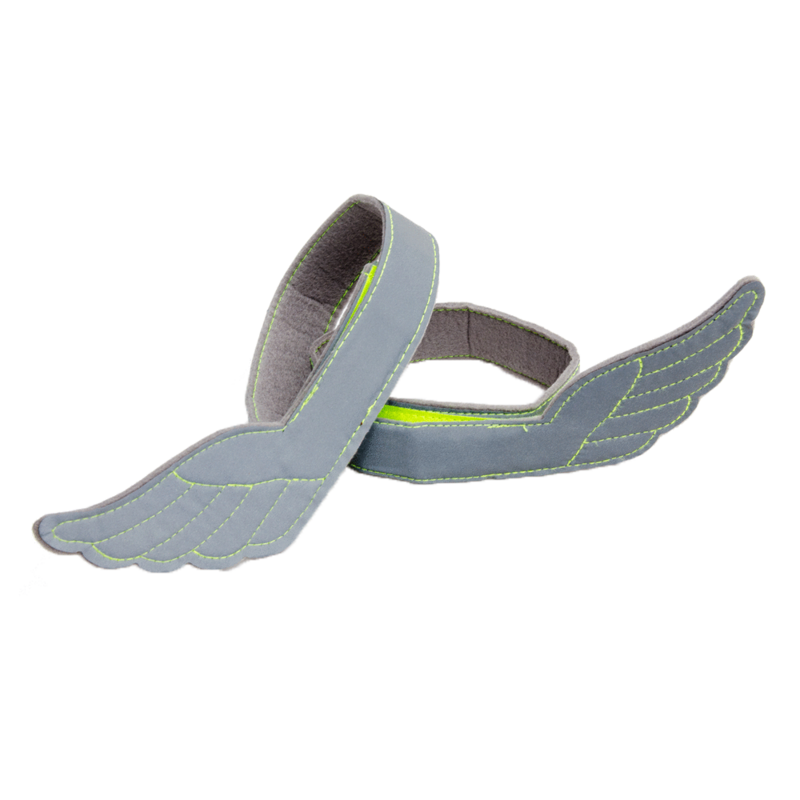 A PAIR OF HIGH VISIBILITY BANDS FOR SAFETY OUTDOORS Wear Flectson's exclusive reflective wings. Be super visible and stay safe in the dark with these highly visible wings. Way more cool than any regular band design with the extra reflective 'wings' that stick out and guarantee you're noticed.